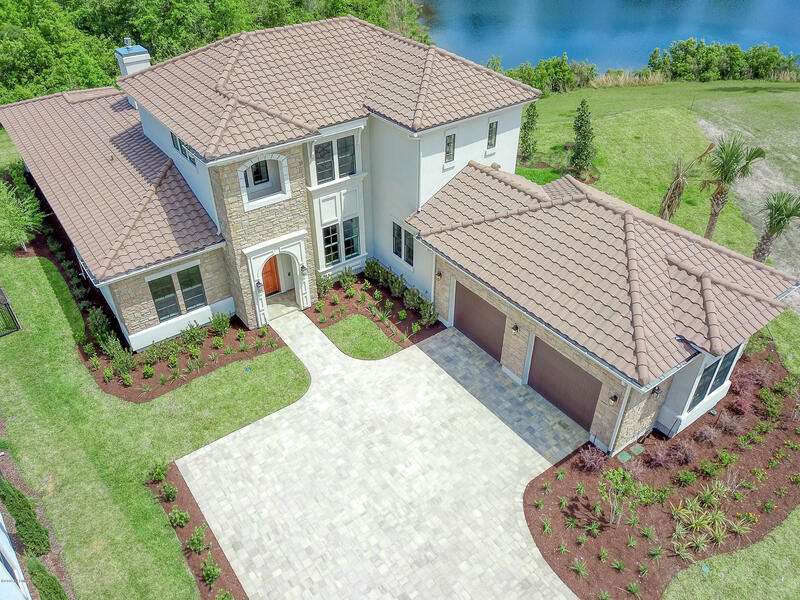 Brand NEW Luxury Home located on a PRIVATE cul-de-sac in the popular and prestigious PALENCIA Golf Course community. The Spacious Foyer Welcomes you into this lovely home. The Open Floor plan with Wood Floors is perfect of family living. The Gourmet Kitchen offers a drop-in 6-burner gas cooktop, Built-In Refrigerator, a wall Oven and enormous Island and Pantry. The Family Room has a Gas Fireplace, Built In cabinetry and Wood Beam ceilings that leads to the Lanai with a Summer Kitchen. The private back yard is against a beautiful and peaceful preserve. The Owner's Bedroom Suite and Guest Suite are on the first floor. The upstairs offers a Loft and Two Guest Suites.The Home is located at the end of the cul-de-sac. This is an opportunity to own a luxury home in Palencia.